Each new year brings with it new trends in home styling. Hardwood and laminate floors present a great opportunity for homeowners to accentuate their style and express their individuality. 2016 has some exciting new trends for both hardwood and laminate floors that are sure to make any floor stand out in the crowd. If you are looking to update the floors in your home, check out these outstanding laminate and hardwood flooring trends for 2016. The color gray is not a new fad; it is a current trend. Although gray hues have been common for some time, they are becoming a hot trend for the upcoming year. Gray is a classic color that is popular due to its versatility as well as its beauty. Gray tones are becoming increasingly popular in both wood and laminate floor choices. Although this color choice breaks away from the common browns and cherries that often adorn floors, people are choosing it more often. Gray can be a foundation color on which other designs and color schemes are built. They also can create an industrial or urban feel in a home with a modern design. Whether you are looking for a neo-modern look, going for an old-fashioned farmhouse feel, or want something in between, consider gray floors. They work great for any application or style. 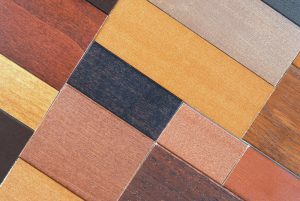 In the spirit of “renew, reuse, recycle,” people are looking for flooring materials that have had uses previously to their current status. Repurposing old slats of wood into new and beautiful floors is a great way to get on the conservation bandwagon. Using woods that have been repurposed results in a distressed and aged look that not only is ideal for creating a feeling of comfort in the home but is also another trend for the upcoming year. If you go with this look, you can kill two birds with one stone. One of the most popular reclaimed woods is American chestnut. This popular hardwood floor choice has now become so rare, it can only be purchased as a reclaimed wood. However, its distinct look with knots and natural mineral streaks create a beautiful and unique appearance that is well worth the price of this flooring. A lack of uniformity in slat width is another new flooring trend for 2016. 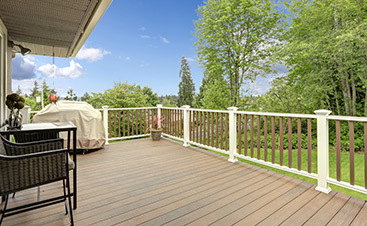 This trend ties in with using reclaimed materials, as the look can easily be achieved by using several different slats of wood that come from varying sources rather than buying uniformed pieces. Mixing slats or planks results in an eclectic look that can truly make your hardwood or laminate floor a conversation piece all by itself. Parquet floors are always a great choice. You cannot ever go wrong with parquet since it is never out of style. However, this year, parquet floors are trending way upward. Parquet floors are traditionally either herringbone or chevron in style. However, this year’s parquet floors will also be seen with more geometric and puzzle-like shapes to give the old classic a new and modern twist. 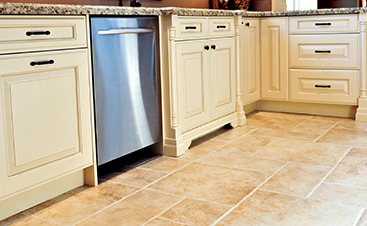 Light-colored floors are in vogue! Blonde tones that are readily found in woods such as oak, maple and ash are becoming increasingly popular as they are often sought out by people who want to create a more modern and updated look in their homes. Blonde hues are perfect for creating an open and light look to a room that is small, closed-off and dark. Further, blonde hues are neutral and will go with any decor, so no redecorating is necessary. Conservation-minded people are always looking for a way to help save the environment. Floors made from sustainable and easily renewable materials such as bamboo and cork are on an upswing. Although there is an increasing number of hardwoods that are being produced through sustainable farming, bamboo and cork are still by far the greenest choices when it comes to flooring materials. These flooring choices took a little while to become as stylish and durable as other woods, but today the choices are more varied and can stand up to heavy use. Bamboo is a particularly popular choice because it is neutral but still provides a unique look. Homeowners looking for a unique look to their floors have been opting for materials made from exotic woods. These woods often have unusual grain patterns that add visual interest to a finished floor. They also tend to have more uncommon hues that help to add to their unique appearance. However, because of all the distinctive qualities of exotic hardwoods, they tend to be expensive. 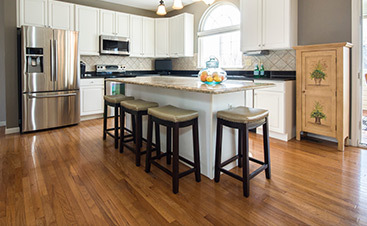 Thankfully, there are many laminate options that mimic exotic hardwoods without carrying the same high price tag. This year have your floors make a statement. Choose one of these fabulous flooring trends and see how envious your friends are. If you are ready to update the hardwood or laminate floors in your home, contact a local flooring professional to discuss your ideas and see how they can be brought to life.